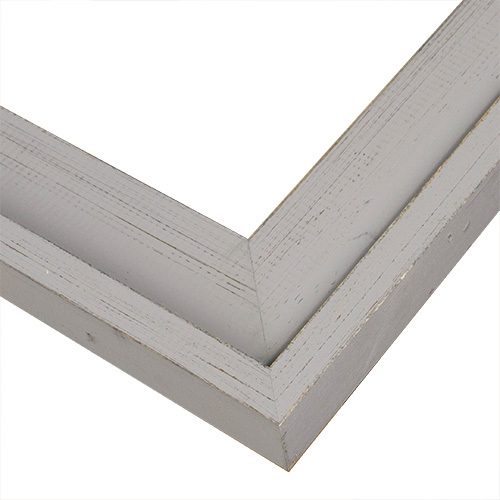 Bring the country home with this gray Plein Air picture frame. Distressing and variations in wood grain, adding subtle character and a neutral backdrop for your art, enhance its contemporary, eclectic farmhouse style. Its 2 ½” wide profile easily takes canvases up to ½” for abstract art or your children’s latest. Beautiful raised edges add to the look. Handmade by our Artisans from 100% Southern Yellow Pine. As the title indicates this is a rustic looking frame. Very neat looking, and it complements the picture that I have. <Love this frame for my art! Will be my "go to" frame for all my art.